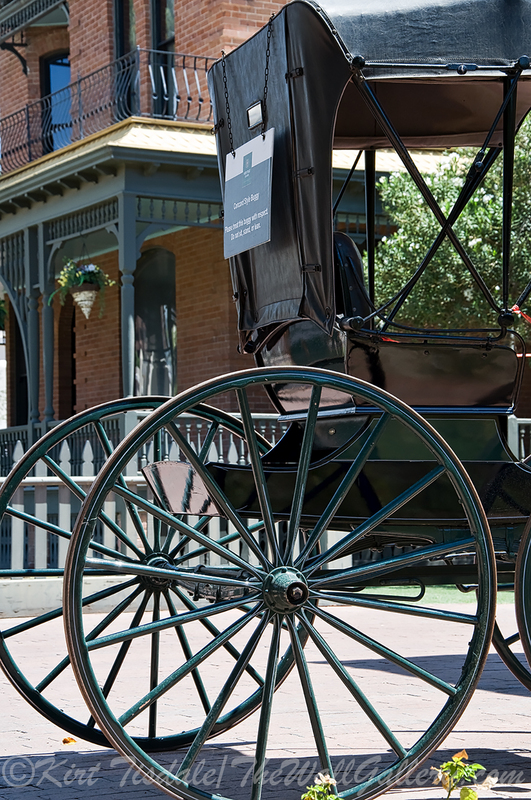 I posted excerpts from a photo shoot that I did with my daughter a couple of weeks ago (Heritage Square: Phoenix, Arizona). As a continuation of that day this photo shoot was another stop we made. 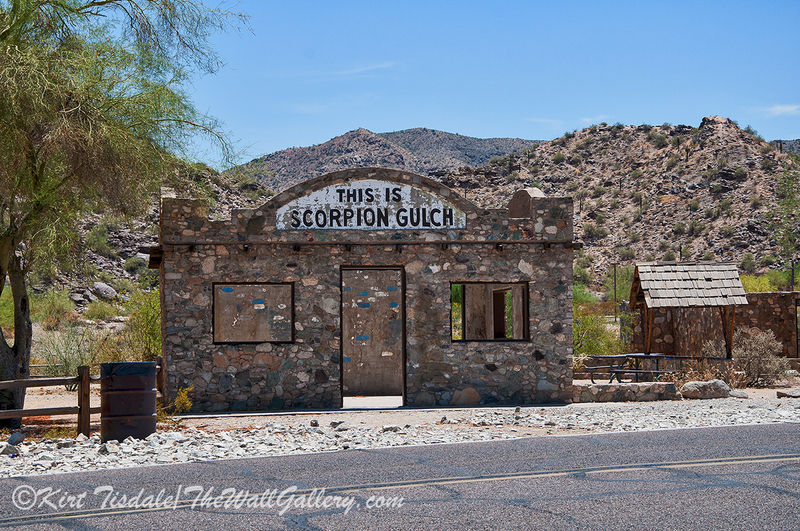 Scorpion Gulch is in South Mountain Park at the base of the mountain. The minute we came across this, we knew we had to stop. 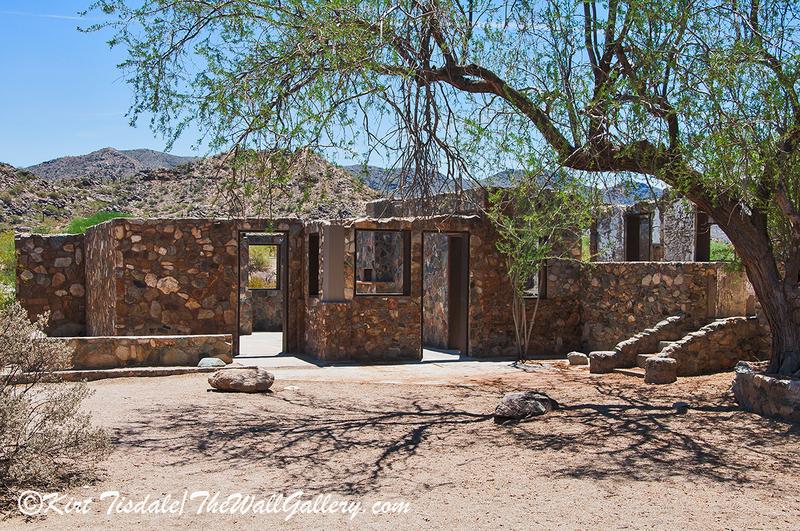 Scorpion Gulch was a store built in 1936 by William Lunsford. He also built his residence right next door. 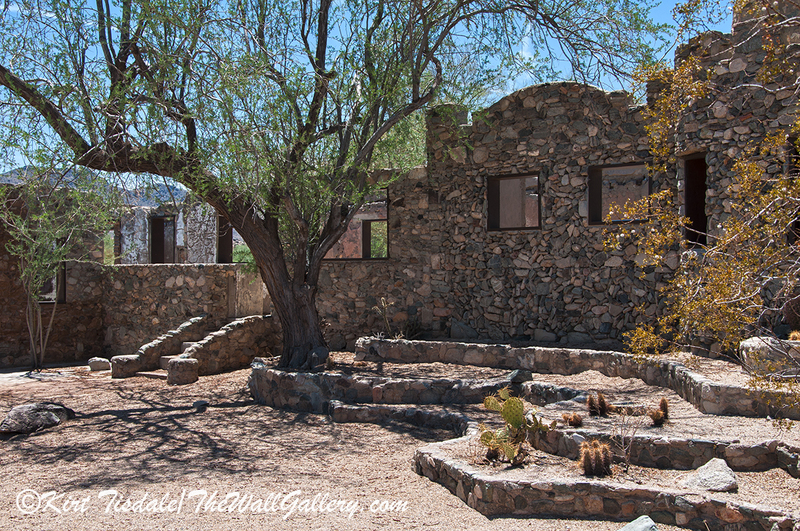 The property is located on Central Ave and is the main road to go into South Mountain Park on your way up to the summit. 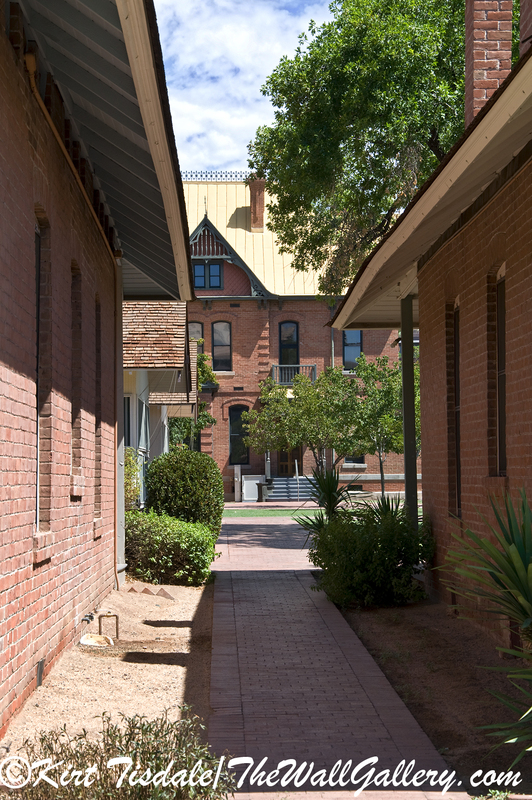 The buildings were first listed on the historic preservation register in 1990. 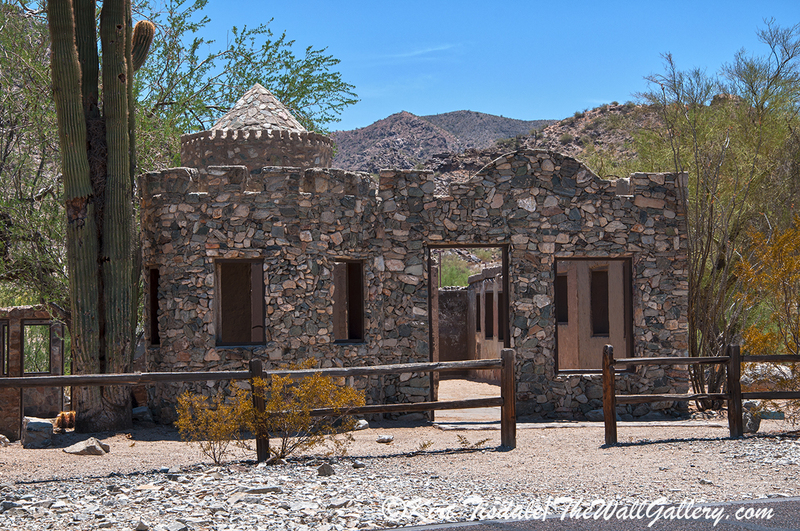 For more information, click the Scorpion Gulch link to Wikipedia. The first shot is the store itself. 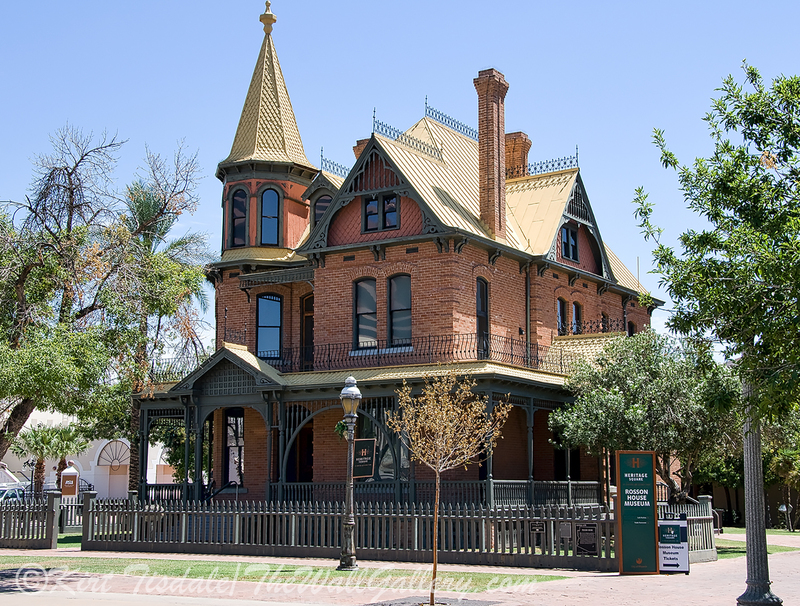 Located to the right of this structure is the remnant of the residence, which is the focus of this photo shoot. 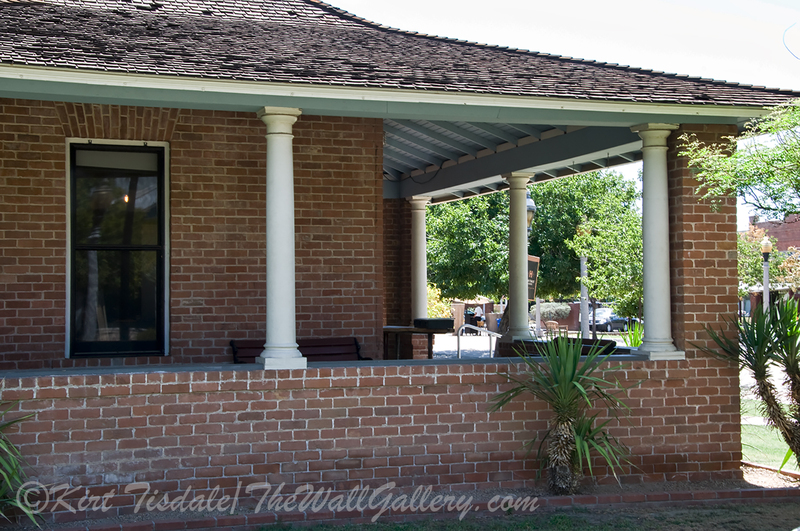 The second picture is the front of the residence. Notice the castle-like turret on the left. I love the stonework and the attention he gave to detail. 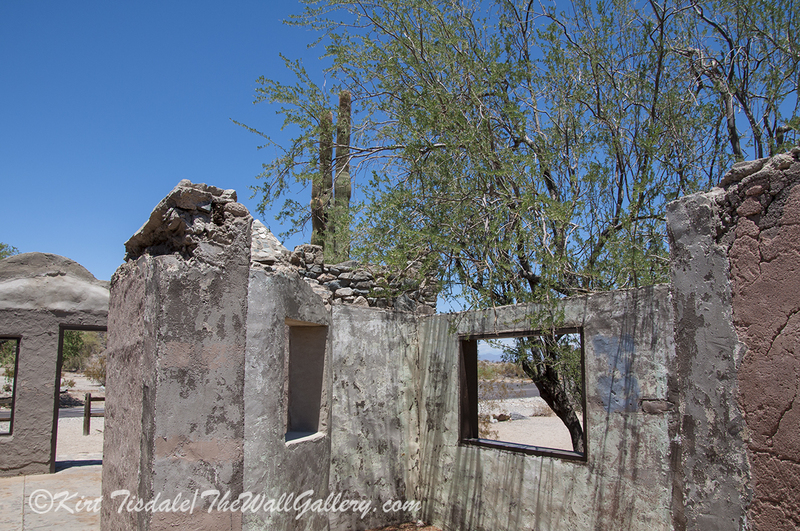 The next capture gives you an idea of the condition of the walls and obviously there isn’t a roof any more. The building stretches back and around giving you unique angles and views. The wall on the right (which is really not in the shot) is the back of the fireplace on the next shot. 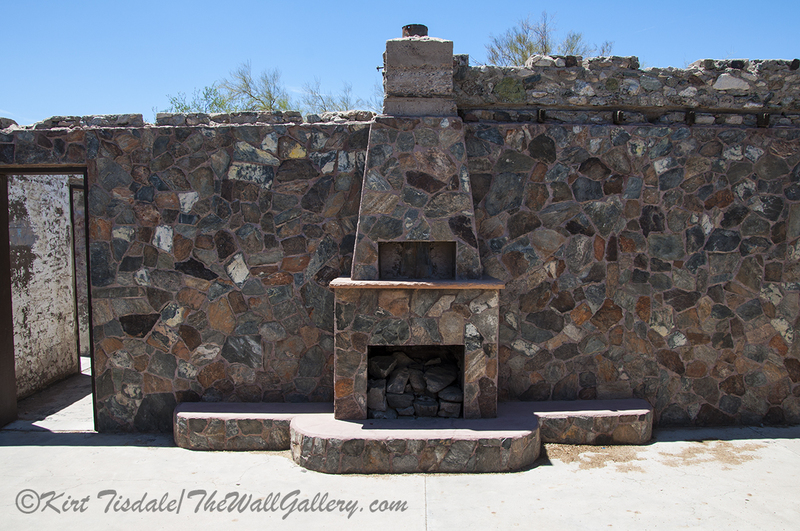 I fell in love with this fireplace; can you believe the size of it and the detail of the rock? As an enclosed room, I am sure it was stunning. This and the rest of the shots are taken from the same spot, just rotating to my right. I am back at the front of the property with the store on my immediate left and the front of the house on my immediate right. The house stretches back on the right and then juts out in front of us creating a large “L”. I would assume this was a type of courtyard in its day. If you look back through the window and doorway combo on the middle right, you can see the fireplace from the prior shot. This picture gives you a better perspective of just how far back the house goes. On the extreme right of the frame is the base to the castle turret we saw in the capture of the front of the house. 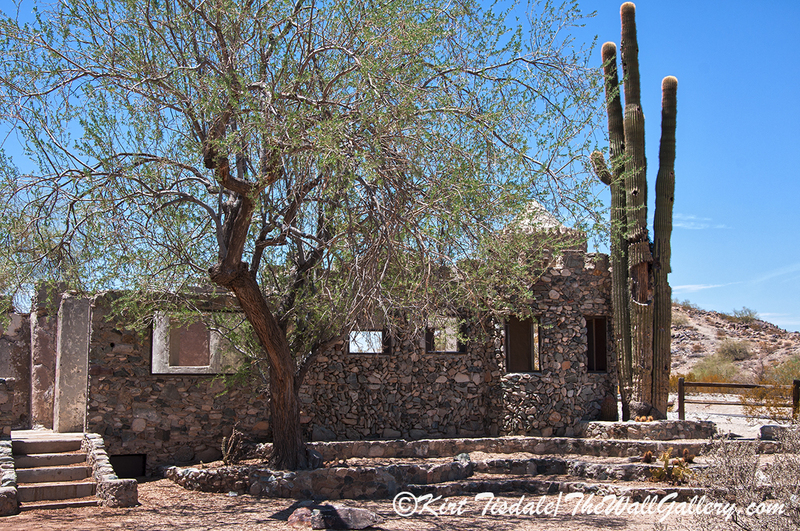 This last one looks back towards the front of the house with a very large and old Saguaro Cactus framing the shot. 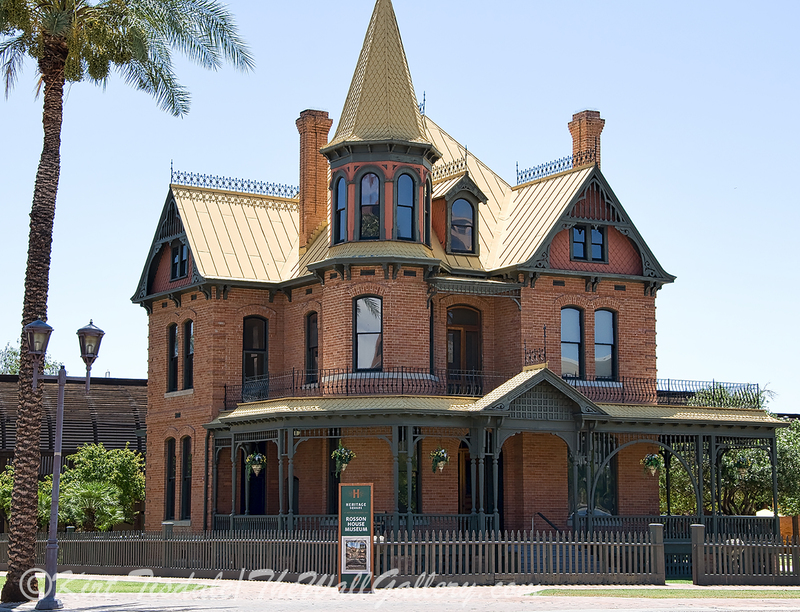 This entry was posted in Color Photography, Photography and tagged arizona, desert, historic, historic buildings, kirt tisdale, phoenix, Phoenix Arizona, scorpion gulch on August 31, 2016 by Kirt D Tisdale. This art print was created using a fauvism (Fauvism: a style of painting with vivid expressionistic and non-naturalistic use of color that flourished in Paris from 1905) technique of a harbor at dusk. This technique uses abstract shapes and variations of colors to create a unique look. The setting is Victoria Harbour in British Columbia. The fishing boats are docked for the night, just as dusk settles in. Thoughts? 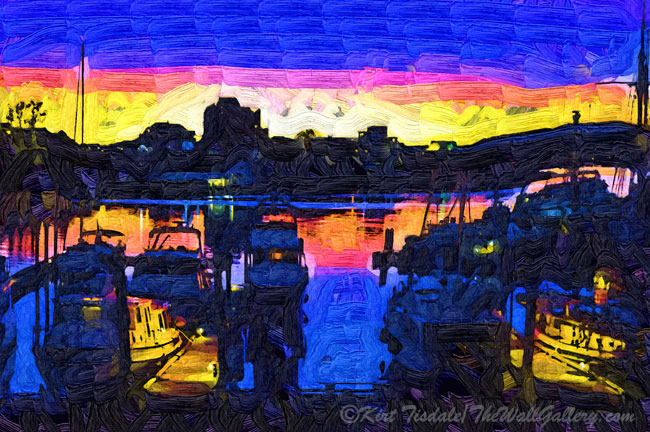 This entry was posted in Abstract Oil, Art, Art Prints, Landscapes: Oil and tagged artist kirt tisdale, boats, british columbia, interior design, online art gallery, sunset, victoria, victoria harbour on August 25, 2016 by Kirt D Tisdale. 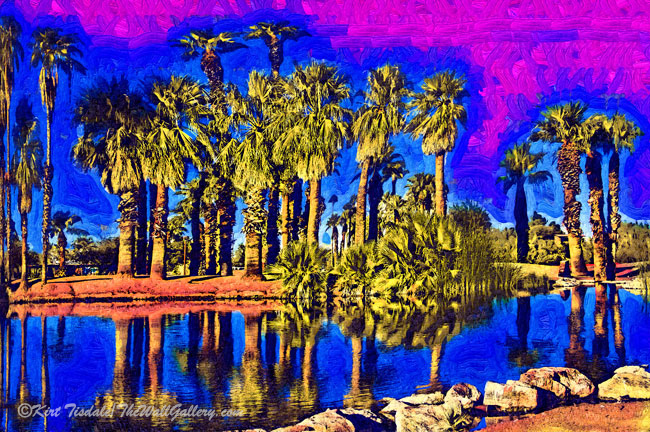 Papago Palms is a wall art print where I used a fauvism technique creating this scene. This technique uses bold brush strokes and bright surreal colors. This particular wall art print depicts palm trees reflected in a pond. The setting is Papago Park in Phoenix, Arizona. 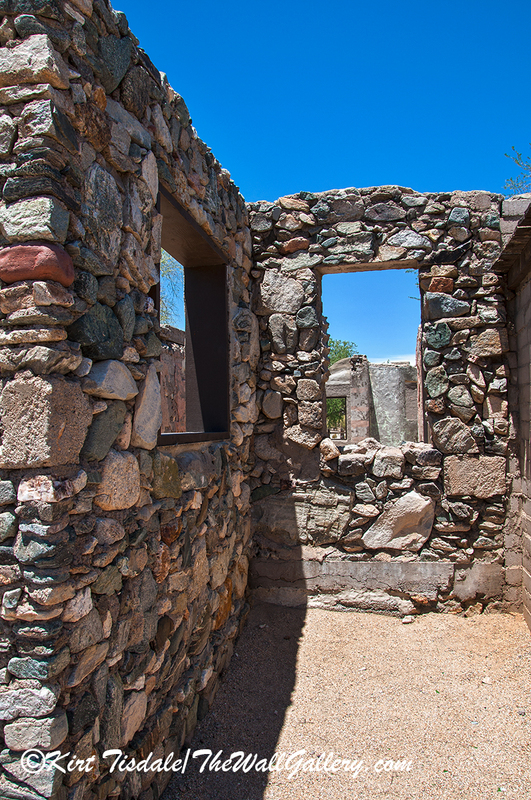 Papago Park is located next to the zoo and the botanical gardens. In the middle of the park are two large ponds. The stillness of the water allows for the row of palm trees to be reflected in the water creating an added dimension to the scene. When you are considering buying an art print, the interior design of the room comes into play and the look you are going for with any given print comes into the decision process. This particular style of wall art print works well a contemporary décor. The deciding factor will be the framing and matting style, which can dictate what décor the final piece will look good in versus just the style of the art print by itself. Thoughts? 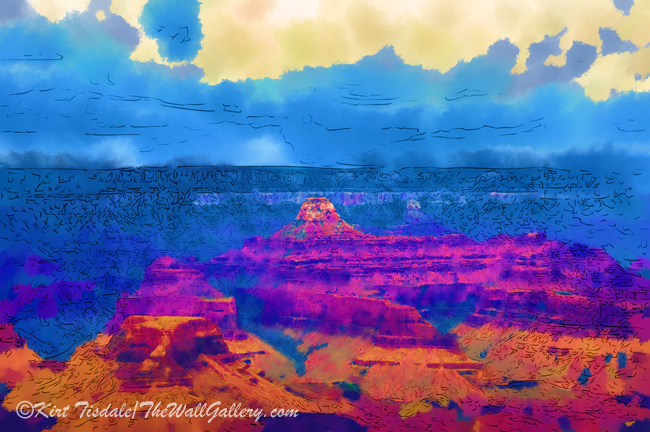 This entry was posted in Abstract Oil, Art Prints, Landscapes: Oil and tagged arizona, art print, papago park, phoenix on August 20, 2016 by Kirt D Tisdale. 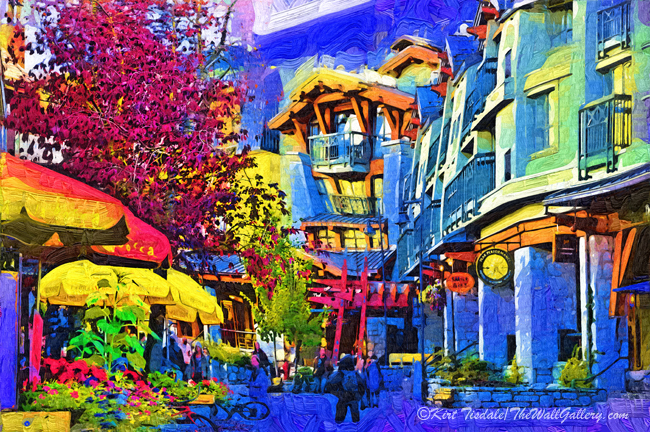 Main Street Whistler – is a wall art print created using fauvism painting technique of main street. This technique focuses on bold brush strokes, abstract shapes and bright colors creating a modern look. The setting is Whistler, British Columbia, a popular ski destination in the winter. The time of year is fall, when all of the leaves of the trees are at their peak color. Whistler is a pedestrian friendly skiing village. The architecture is reminiscent of a Swiss village. It is nestled in a beautiful valley surrounded by mountains housing the ski slopes. Thoughts? 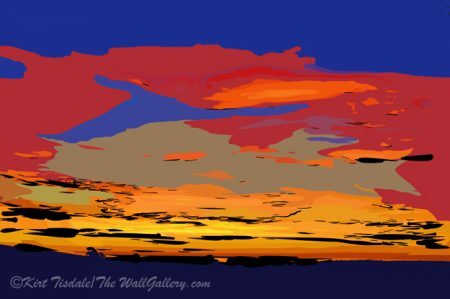 This entry was posted in Abstract Oil, Art Prints and tagged abstract art prints, artist kirt tisdale, british columbia, canada, interior design, online art gallery, ski village, wall art, whistler on August 9, 2016 by Kirt D Tisdale. 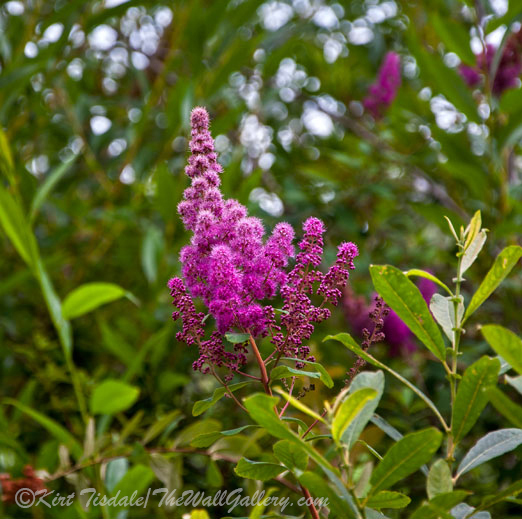 As the last installment of shots from my hikes during my recent trip to Seattle, I wanted to end on a hit of color. 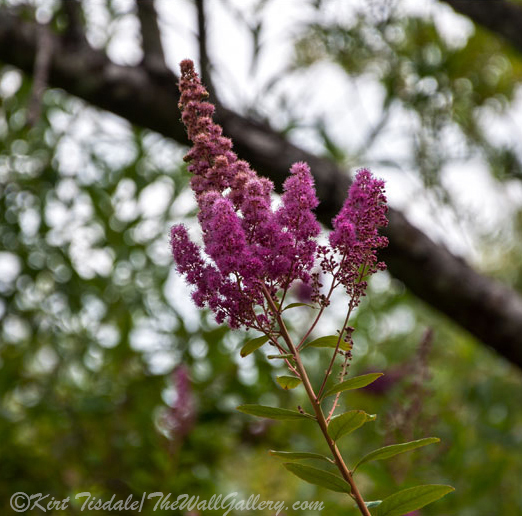 These three shots came from a hike we did in the Washington Park Arboretum. The arboretum is located northeast of downtown, with the far north end touching Union Bay and the University of Washington directly across the water. The trails wind through the woods and the occasional clearing immersing you in a lush sea of green. Well, imagine my surprise to come across these plants. I have no idea what they are (if anyone does, please enlighten me), but found the accent of vivid color stunning. 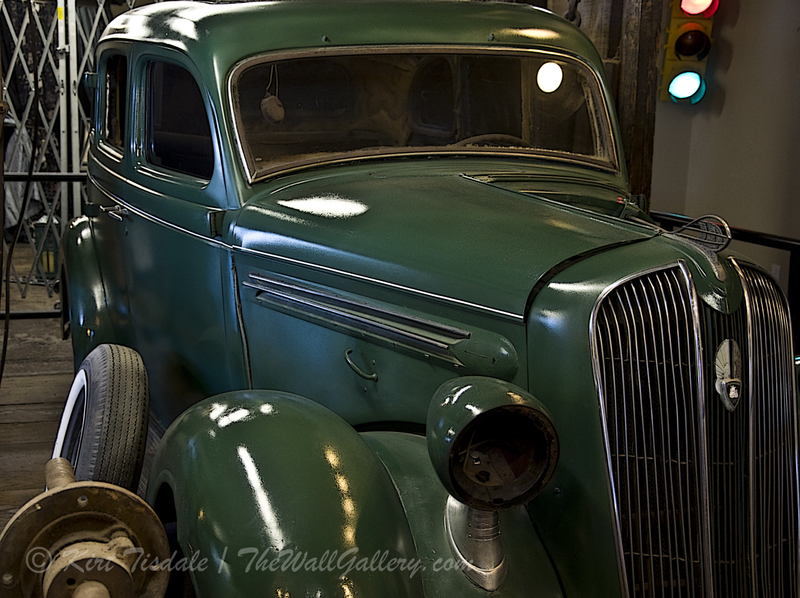 So stunning, I have already added them to my Color Photography One Gallery on my website. 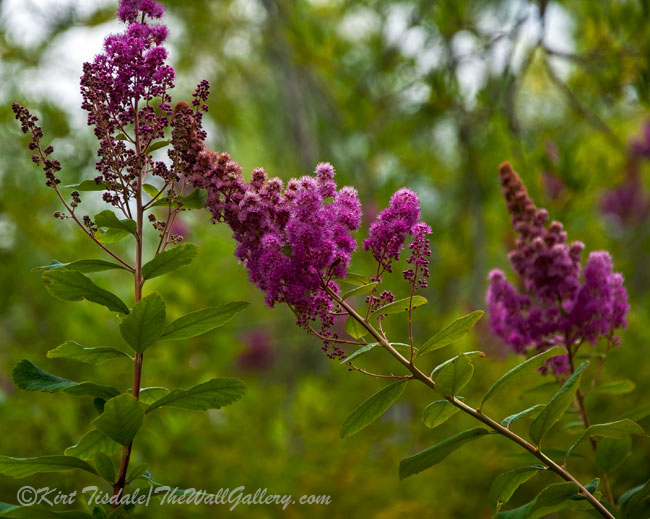 This entry was posted in Art Prints, Color Photography and tagged floral blooms, hiking, kirt tisdale, online art gallery, pacific northwest, photographer, photography, seattle, washington park arboretum on August 4, 2016 by Kirt D Tisdale.